The Missouri Pacific used to parallel the Atchison, Topeka & Santa Fe for over twenty miles between Pueblo and Boone, Colorado. 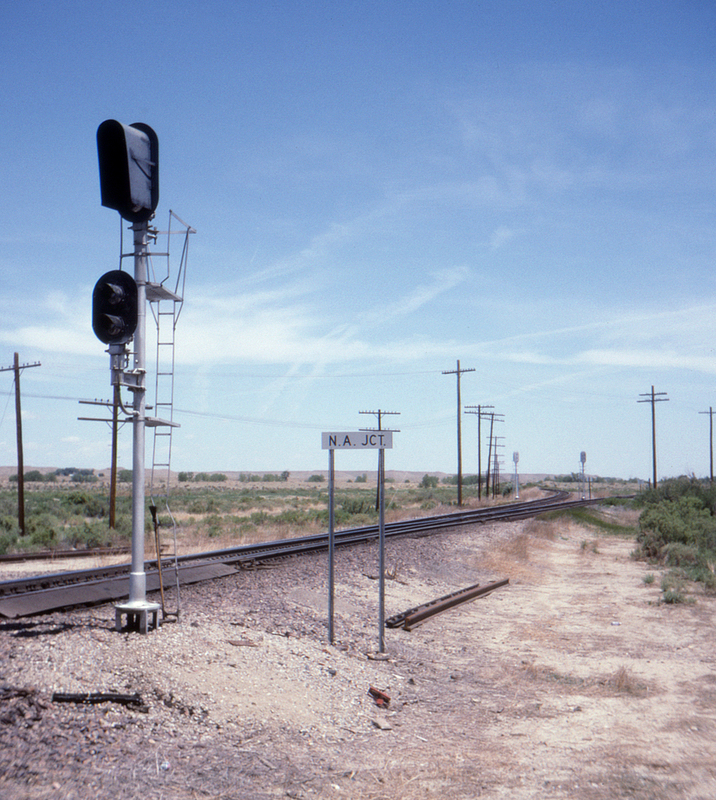 Eventually the duplication was resolved with MP obtaining trackage rights over the parallel Santa Fe to Boone, where the two lines diverged at NA Junction. Here, looking east, we see the Missouri Pacific diverging to the left and the Santa Fe to the right. In just seven months the Missouri Pacfic will become part of Union Pacific and the Santa Fe will merge with Burlington Northern to form Burlington Northern Santa Fe.